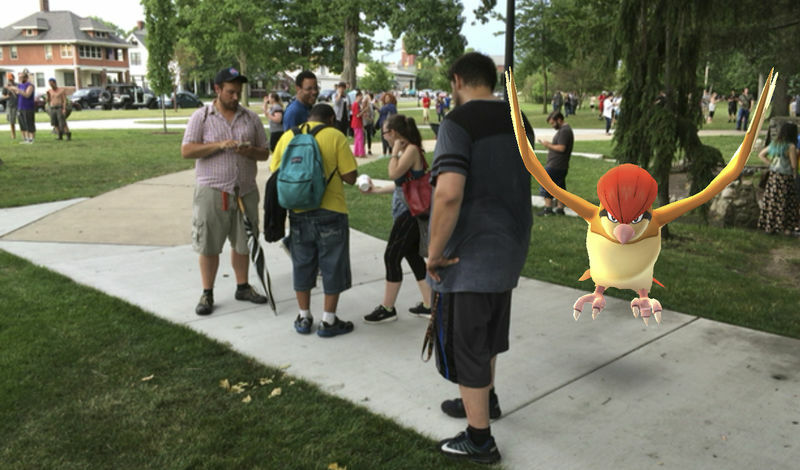 Will Pokemon Go and other AI/VR/AI apps kill the iFad (sorry iPad)? 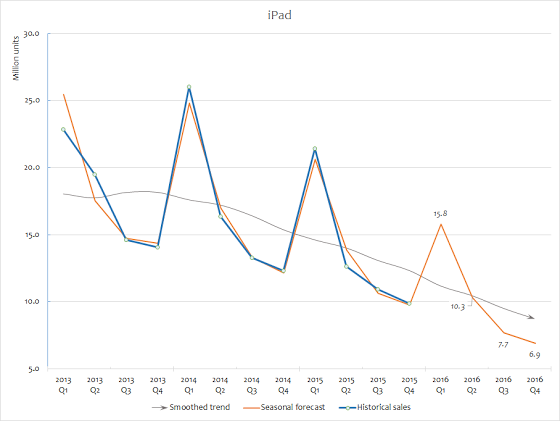 iPad and tablet sales have been falling sharply. In 2013 Apple’s head honcho, Tim Cook, predicted that the iPad would overtake PC sales by 2015. He was way off, as sales have fallen every quarter for two whole years, down 10% last year, across all tablets. I was never enamoured by tablets and wrote extensively on how their massive procurement was a disaster in secondary schools, FE and HE. I doubted their ability to enhance learning and skills, especially as students moved on to long-form writing, coding, graphics and so on. The procurement processes were pathetic but the pedagogic arguments were worse, if they ever existed in the first place. In many cases, I suspect, they inhibited learning. Another factor was the market, where smartphones simply adjusted screen size and extra functionality to trounce tablets. Phablets are now the norm as screen sizes grew, then shrank, but eventually settled on an optimally large-but-not-too-large format. They cluster around a size that was just big enough to watch videos and read long-form text, while still being pocketable. Even Apple increased the size of iPhones, as they saw the threat. 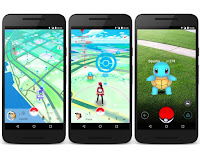 Inevitably, the smartphone won on power, size, convenience, functionality and price. I first started to note this when my wife and sons simply switched over to their larger phones or used laptops, while the iPad lay idle and unloved in the corner. I don’t see that reversing. Can’t say I’m sorry. The iPad was always a consumer not a producer device. It’s still odd to see people peck away like chickens in meetings on iPads. If you want to write – get a laptop. And before you say ‘attachable keyboard', simply turning a tablet into a laptop, makes it precisely that – a laptop. iPads also suffer from functionality limitations – not being able to run apps simultaneously. Nexus 7 tablet anyone? Nope. Google killed it. In that sense, it was always something stuck between a proper computer and a truly mobile device – neither a fast, sleek fish nor fully mature fowl. Large-screen phones from the top and fast, productive, long-life battery laptops from the bottom crushed it. 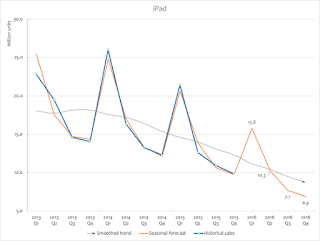 Laptops and smartphones have the legs, while tablets, increasingly, look like a passing iFad. Another set of nails being hammered into the tablet coffin is AR/VR and AI. Don’t see many folk poking around the streets playing Pokemon Go with tablets. We have entered a new era, where mobility really does matter. Computing is being taken into the real world. 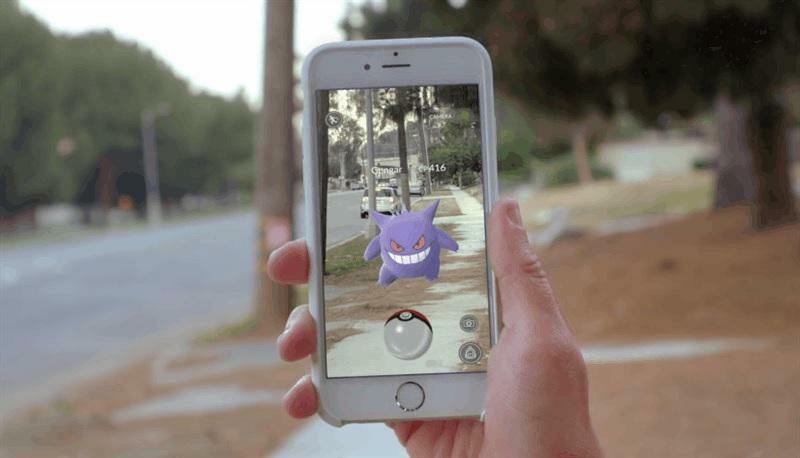 As the many layers of AR meld with RR (Real Reality), Pokemon Go being the fist mass application, AR is here with a global bang. VR on mobiles through Google Cardboard has also caught the imagination. 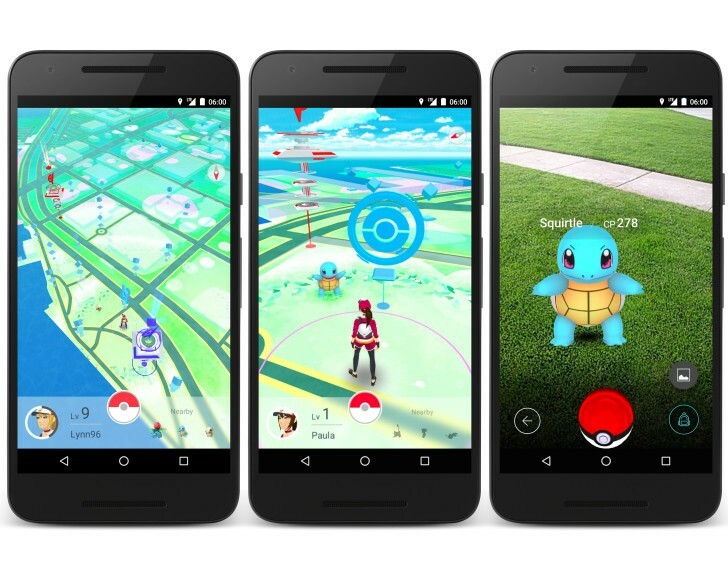 It is this that will drive the VR market, with instantly downloadable experiences. Once cameras on smartphones have 3D capture, it will fly. Smartphones democratized comms and knowledge, VR democratizes experiences. Beneath all this is the massive, invisible hand of AI. Apple’s souped up voice and messenger plans along with thousands of other AI inspired applications are already making smartphones super-smart, with better personal security, better interfaces, better functionality and better apps. The awkwardness of the smartphone interface has given was to smartphones being really ‘smart’. The tablet era is over. Feedback is vital for novice teachers and this, used sensitively, is ideal for feedback from senior colleagues. As Chris says, “great to have if difficult feedback is required to be given to the teacher. Can watch it through the VR goggles and get student experience”. Every nuance can be observed, replayed and used as a platform to see ourselves as others see us. Research shows that this ‘deliberate practice’ is exactly what leads to accelerated learning and improved performance. A bank of these, with exemplary action by experienced teachers, would be a godsend in teacher training. The immersion of VR really does make you feel as though you are actually there in the classroom – an important factor in this type of training – context and realism. I think this form of complete immersion would be wonderful for the young, fearful teacher, before entering the fray. I’d be interested in Tom Bennet’s view on this. I could also see this being used, sensitively, for feedback with students who have problems in classrooms, even in the presence of their parents. To be honest, I’d also love to see them used by students in revision. Some years ago, I met a teacher in Italy, Armando Pisani. He’s a high school teacher who teaches 14-18 year olds in maths and physics and is unique in that he records all of his lessons on video for later use by students. To learn efficiently and deeply, students need to be able to “review, not miss things through inattention, being distracted, illness, student absence, teacher absence or language difficulties – some students have other languages as their mother tongue”. The lack of “supply teacher availability is also a problem”. Recorded lessons give the students the ability to “catch-up and cover work not covered in a teacher’s absence”. For full analysis see here. Armando Pisani achieved significant improvements in results but interestingly, he sees parents as a key driver in the use of his recorded lessons. Parents “like to see what students do during lessons” and some parents “loved the subjects when they were at school”. “I had assumed parents like it (recorded lessons) less than students but the opposite is true”. He thinks this is because parents they tend to think of it as “learning, students as a task or work”. His view was that these recorded lessons increased parent involvement and through this, attainment. There are many ways to lay out a classroom. This technique could be used to explore the advantages and disadvantages of different layouts. You will see how it affects teaching, and be able to see student behavior as they navigate the classroom. Walls, lighting, whiteboard use – all sorts of ‘in the classroom’ things could be discussed, agreed and implemented. As the camera covers every angle within the classroom, it gathers a rich data set on what the teacher and all students are doing in a lesson. Break this down, correlate teacher and student interactions – lots of things can be observed with ‘real’ data. One has to take into account the ‘presence’ of the camera, but I’m sure that if it were there for some time, this could be largely discounted. This is surely a rich way to capture research data. The classroom should not be a black box into which teachers retreat but an open space where teachers feel they can improve. Confidentiality is an issue but, when permissions are granted, it seems like a sensible and sustainable innovation. If I were a senior leader in a school, I’d buy tone of these now. This tool is powerful, easy to use and cheap. Chris used a Bubl Camera, which cost around £600, plus a standard memory card. It is kept with IT services and can be booked out when he’s not using it. He’s also hoping to do a virtual tour of the school and next summer will be using it for visualisation periods; filming footage of within the exam hall and getting students to listen to revision footage whilst being "in the exam hall"!